“Get all you can” is a clear message in our society. So, when is enough enough? An alternate view is that we get our greatest treasure by giving and sharing rather than accumulating and hoarding. What do you think? 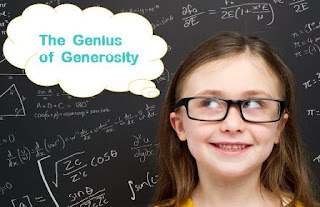 Join us this Sunday at Sharon United Methodist Church (9 and 11:15 AM) as we begin a new series, The Genius of Generosity.